I rarely make sweeping statements about what we all should and shouldn’t do. As you can tell from my various styles of printables, I like options, and I don’t believe there’s a one-sized-fits-all solution to many problems. This, however, is one of those exceptions. 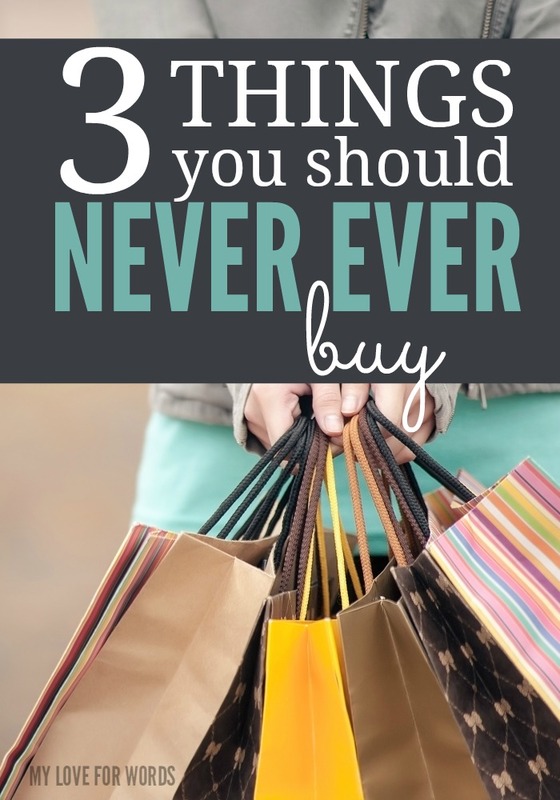 I can say, without a shadow of a doubt, that there are 3 things you should never ever buy. Let’s be honest, if you don’t love it in the store, you’re not going to love it when you’re away from the beautiful lighting and the rush of getting something new is gone. Stores are built to lure us into spending money. Businesses spend millions figuring out how best to arrange their stores and products, the best music to play, and how to create the most appealing lighting so everything in the environment makes us want to spend money and take items home. So if despite all of that working against you, you still aren’t totally head over heels for whatever you’re thinking about buying, that’s a great sign that you shouldn’t waste your money. I can’t even keep track of the number of times I’ve allowed myself to purchase something I only kind of liked and regretted buying almost as soon as I got home. Of course, you can always return them, but I know myself, and the chances of that are pretty slim. These items usually end up cluttering our lives because we feel obligated to try to get some use out of them. Save yourself the heartache and the money, and just walk away. I’ve really been working to get away from buying frivolous things. My home is already filled with things I bought with the best of intentions that have ended up just sitting around gathering dust. Growing up, my mom had a “gift closet.” She would buy items she didn’t need but seemed like a great bargain and store them, planning to give them to someone down the road. Unfortunately, when gift giving occasions came around she’d usually either forget about the gift closet or have something special in mind for the recipient instead. There comes a point when we just have to accept that there will always be good deals out there, but that doesn’t mean we have to look for or take advantage of them every time we see them. If you don’t need it or know exactly what you’ll do with it, don’t buy it! Duplicates. Don’t buy duplicates. If you already have it, it’s in good shape, and your new item wouldn’t be a drastic improvement over what you already have, please save your money. I’m guilty of having a lot of duplicates. When I organized my utensil drawer, I had three pairs of kitchen shears. Did having more than one sometimes come in handy? Of course! But to tell you the truth, two of the three pairs were a nightmare to use. I really only liked one pair so why was I keeping all three? Keeping things “just in case” is a waste of space, time, and energy. Yes, one day, in the probably distant future, my kitchen shears may break, and I may have to buy more, but in the meantime I’ll have more space and less to take care. I eventually got rid of the two extra shears and a really nice chef’s knife because I already had one. I’m not going to lie, the hoarder is me is a little sad about that knife now that I’m thinking about it, but I already have a great knife, and I don’t need two. I really don’t, and chances are you don’t need the duplicates you’re keeping either. If you aren’t ready to get rid of your duplicates right now give a trial separation a try. Box up your least favorite duplicates and put them in a box in an out of the way place. Try living without them for a month or two and see how it goes. Chances are you’ll see that you really don’t need those items, and you can take your box of already packed up items to a donation center. **Update: Shari made an excellent suggestion in the comments, and I wanted to make sure you all saw it too. She said, “Make a list of what is in the box, place it in an envelope, and tape it to the outside of the box. This way when it’s time to donate this box, because you haven’t needed anything in it, you don’t have to open it up and second guess your choices. To me it’s just easier, I staple the list to my donation receipt and my list for tax time is ready to go.” Isn’t that a great idea! 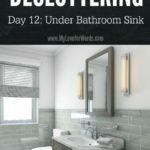 It’s similar to the biggest decluttering mistake you don’t know you’re making we talking about a few weeks ago, but it’s taking it to a whole new level! Ultimately, in order to win the fight against clutter, every item in our home should serve a purpose and have it’s own place. Sometimes that purpose is to be decorative or to remind us of something, sometimes it’s utilitarian, but if we don’t love it, need it, or already have it, we should avoid buying it. 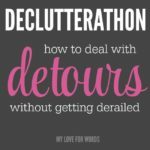 To read more organizing and decluttering tips, be sure to check out the Declutterathon series here. I’d like to add to your idea of boxing up the items for a month ir two, I’d go ahead and make a list of what is in the box, place it in an envelope, and tape it to the outside of the box. This way when it’s time to donate this box, because you haven’t needed anything in it, you don’t have to open it up and second guess your choices. To me it’s just easier, i staple the list to my donation receipt and my list for tax time is ready to go. That’s a fantastic idea!! I’m going to update the post so people don’t miss it if they don’t scroll down to the comments. Thanks so much! Emily, I agree with your “sweeping statements” here! Very sensible advice. And I’m going to march into the kitchen right now and grab a couple things for my donation box! Nicely and simply put. I’m happy to share this article with my clients and followers. The biggest mistake is often buying something we like instesd of only things that we madly deeply truly love, that fit, and that we have space for. The one thing I have trouble saying No to is purses. I am a bag-a-holic. I wish I could just stick with one purse, but I get distracted by new ones. They are tempting! My weak spot is stuff for my house. I don’t know what my husband’s going to do if I bring one more pillow into this house! 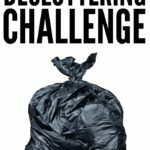 Good to keep in mind when I am going through and decluttering. Thanks! This is so timely. I’m moving in a few months and not only do I need to downsize I need to curb my spending impulses. I’ll keep this in mind! Love the wisdom of this post. I have found that once you decide to declutter and live with less, you realize how stressed all that extra stuff made you. Thanks for sharing your tips with us, Emily! It really does add stress, doesn’t it. 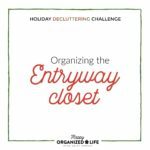 I’m not finished decluttering yet, but I’m finding the more I let go of the easier it is to let go of more, and I usually can’t even remember what I’ve gotten rid of once it’s gone. Great tips and I certainly agree. The older I get the more I realize I want to live simpler and without so much stuff. I would rather spend money on making memories (vacations) then on stuff that will just sit in my home without ever being used! 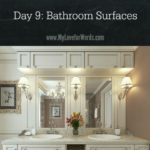 Visiting from the Worthwhile Wednesday linky party. I so agree! I’m definitely more interested in spending money on vacations and experiences than on more stuff to have around the house. I think along the same lines, I sometimes am given something that fits in one of these categories. I feel bad getting rid of a gift, so it becomes clutter. I used to be bad about having a gift closet too, especially for kids’ birthday parties. Trends change so quickly though that kids never like the same thing from year to year. That’s so true! I love a great after Christmas sale, but chances are the kids aren’t going to want the same stuff a year later. Great post, I agree with all of it haha. Usually I am harping on about it in regards to clothes, but I eliminated household dupli- and triplicates as well in 2014. Stopping by from Thrifty Thursday, have a nice week! If you keep things together, duplicates actually get used (or at least noticed so you don’t buy more). One trick that I use is to keep travel sizes with large stuff, and use the travel stuff first! Good advice but so hard to follow. I too, like your mother, stockpile small gifts for a rainy day. I can definitely follow the ‘no duplicates’ idea though. Intriguing headline. Nice Canva image too. I was hooked by your headline. Thank you for coming to the Inspire Me Monday Linky party on Monday. I’m Janice, one of your hostesses. Why is it that I’m always buying things I don’t love? Is that just a built-in human thing? Thank you for the reminder. Even though I love to shop locally I do find that my impulse purchases are limited when I purchase from Amazon because I generally let the items sit in the “cart” for a long time before finally clicking through to purchase. Having some distance between when I begin thinking about making the purchase and actually doing it really helps. Extras drive me crazy. My hubby has so much stuff he can’t organize it, so he can’t find anything, so he “has” to buy another. Thanks for posting. Hello from Thrifty Thursday. only buy things you need? I doubt it. Isn’t that the truth! I’ve found the parting is the hardest part for me. Once the stuff is gone it’s out of sight, out of mind. I don’t sew, but I’m crafty so I can relate to having lots of craft stuff. It’s hard for me to part with it because I know (or think anyway) that I’ll eventually want to use it all. Okay, I’m a little disappointed. I was looking forward to 3 specific things, but the 3 ideas / concepts are still valuable. I’m sorry to hear you were disappointed, but I’m glad you still got some value out of the post. Hi i usually buy when something is nearly worn out, like shoes or a bag, or undergarments. Usually i look after my clothes and they last me for ages, and they are the classic styles so that they never date. People make nice comments some seasons, but they are just clothes that i take out and wear, as what is in season in the shops, as in color and style. This saves me money and time, every single year. Great idea! I prefer buying classics for that same reason. My teick is ro not go shopping unless i need something in pqrticular n to leave immediately after i buy it n not hang around looking at more stuff. The other rules of not buying stuff unless u love it n also the one that says…everything in its place n a place for everything…work great too!